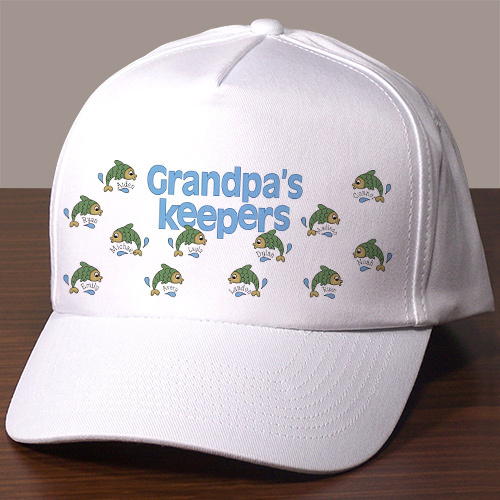 Give Grandpa a baseball hat that shows off his love for fishing. This would make a fantastic gift idea for Grandparents Day, Father's Day, or even Grandpa's birthday! He'll be touched to receive something special that features his favorite family member: his grandkids. Personalize this hat with up to 30 names.